This product is a Bitter Green. A Bitter Green is a bitter herb brandy which is traditionally enjoyed as a specialty in the area of Thuringia and the Erzgebirge. The green color is achieved by the addition of fresh herbs and special roots. The flavor is quite dry and tangy as we do not add any sugar during the manufacturing. 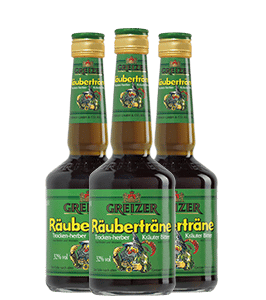 We recommend serving Greizer Räuberträne as an aperitif and as a digestive. 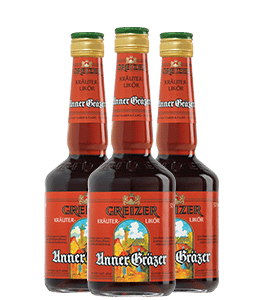 Unner Gräzer is a traditional bitter specialty well-known especially around the town Greiz (Thuringia). Its fine-herbal extracts and sustainable sweetness dominate the flavor and make it so popular.